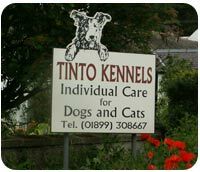 You and your pets will get a warm welcome at Tinto Kennels. I love animals, so will ensure the highest welfare standards for your pet. The proceeds from the kennels go towards running my animal rescue centre. Read some of the feedback from our happy customers. 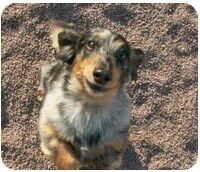 Within easy reach of Edinburgh, Lanarkshire and the Borders, Tinto Kennels is a premium boarding kennel and cattery set in peaceful countryside just outside Biggar. I run the Kennels personally, and for more than 22 years I have been complementing the Kennels with a busy and successful animal rescue operation funded largely by the boarding income. With a limited number of spaces in the Kennels, I guarantee individual attention to every pet placed in my care. All boarders have regular exercise and playtimes, and all special needs and diets are meticulously cared for. I have built up a dedicated list of regular customers who appreciate the exceptional level of care I give to their pets, and who enjoy the lively ambience of the Kennels and the varied assortment of rescue animals normally in residence.